06 Oct We celebrate for the second year running. 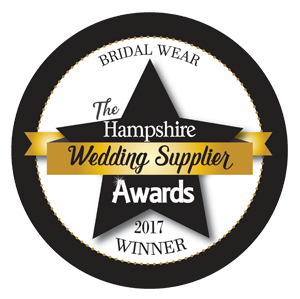 This year has been quite a year for Creatiques – as well as a host of other nominations and wins, the bridal boutique scooped the Best Bridal Retailer England award for the second year in a row. The Bridal Buyer Awards programme recognises the best in the industry and brings those who have excelled into the spotlight. This year we received more entries than ever before, and the quality of submissions set a new standard. And at the 2016 ceremony, the Creatiques team was nominated for three awards. The Award for Best Bridal Retailer England was the first to be announced on the night, and Creatiques was up against Amanda K, The Bridal Collection, Fleur de Lys, Lulu Browns Bridal Boutique and YAP Bridal Boutique.